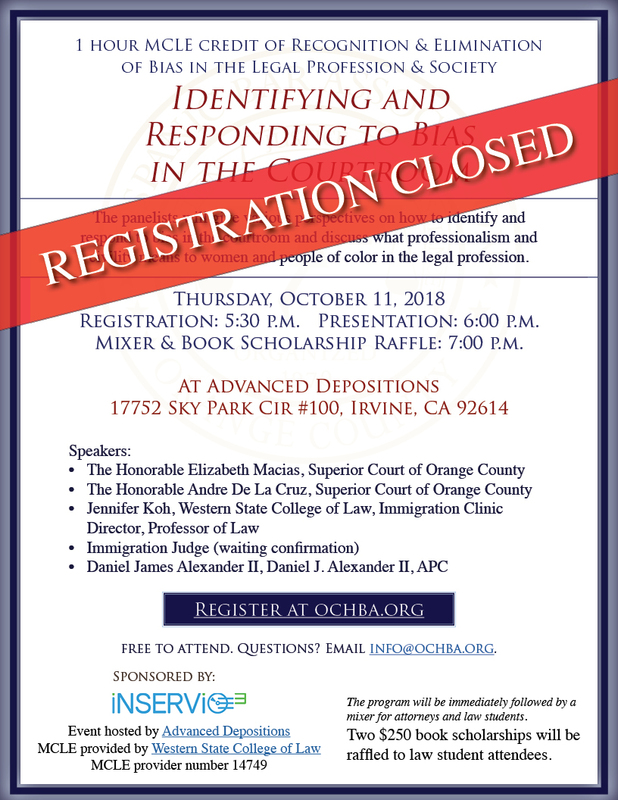 The panelists will give various perspectives on how to identify and respond to bias in the courtroom and discuss what professionalism and civility means to women and people of color in the legal profession. Mixer & Book Scholarship Raffle: 7:00 p.m. The program will be immediately followed by a mixer for attorneys and law students. Two $250 book scholarships will be raffled to law student attendees.